Doing Science, or Scientific Sightseeing? Curious about the old stuff which tells who we are, and what we’ve done since 1868? A series of podcast episodes will delve into the fascinating (& sometimes unbelievable) stories of the RASC, based on the surviving artifacts, the members who made and used them, and what we’re learned—and haven’t learned—about doing citizen science. A new episode will be released monthly throughout 2018. The hosts of the RASC 2018 podcasts are Heather Laird (Director, RASC), and R.A. Rosenfeld (RASC Archivist). 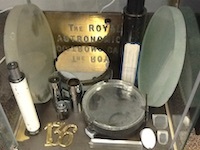 Images of rare RASC artifacts, and documents illustrating the podcasts will appear on this website, with associated resources. Stay tuned for regular updates, and the dates of broadcast! An introductory podcast, featuring highlights from the upcoming season. Beginnings—documentary traces & tatters. An examination of how and why the RASC happened. Features our miraculously surviving draft bylaws from 1868, and the unlikely story of that document's rediscovery. Also recounted are the 1868 efforts to prevent the RASC from being founded, and the documentary trail that left. Supplementary material on the founding figures, the question of Society continuity, sources, and close-up images of the draft bylaws can be found here. 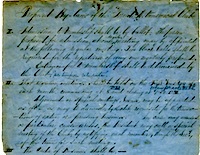 Click on the picture to see our 1868 bylaws and the history of this document. C.A. 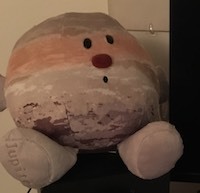 Chant—communicating astronomy. C.A. Chant (1865-1956) was a dominant figure in moulding the Society in the first half of the 20th century. 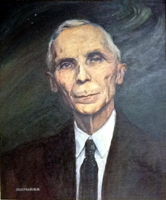 His strength lay in education and public outreach (EPO), and institution building (he founded the first, and most significant Canadian university astronomy department, and the second-largest optical research telescope in Canada). This podcast presents a portrait of the man (literally and figuratively), the positive and the negative of his reign, and explores his use of media. Supplementary material on Chant's legacy, and the difficulty in recovering vital but ephemeral experiences in the transmission of astronomy, and in establishing reputations, can be found here. Click on the picture to read about Chant, and see related documents from our Archives. Early Star Parties—celestial sights for free. Star parties—gatherings of people to recreationally view the night sky—are such an integral part of the social practice of amateur astronomy, that many think it was always so. In fact, it took a long time for this particular mode of association and approach to EPO to take its present form. 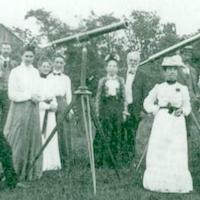 The RASC didn't host star parties for the public till 1900. We look at the artifactual traces of early RASC star parties, the early opposition to them, and how they compare to present star parties. Personal Records of the Sky. 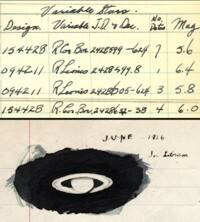 Amateur astronomers are often counselled to keep records of their observations. 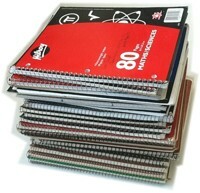 From a scientific standpoint, the observation in the log book is the primary record of a phenomenon visually observed, and for phenomena detected by other means (e.g., photographically on glass plates or on electronic photodetectors), the log book provides the meta-data recording the circumstances of the observation, rendering it usable. In the realm of human experience, a log book can be the author's aide-mémoire, evoking the circumstances of observations decades after they were made, along with associated sites, sounds, and companions now long gone. The RASC Archives doesn't hold any of the log books of the Society's founders, but it does have the 1890s album in which many of its observers placed their graphic records of observations. The nature of this artifact is explored, along with the surviving collaborative and personal planetary log books from the 1950s and 1960s, and the digitized and digital logbooks of the present. Doing Science, or Scientific Sightseeing? The nature of amateur astronomy—what it has been, what it is, and what it might aspire to be—has occasionally been contested within the community. From afar this may look like naval gazing by stargazers, but it can be seen to touch the heart and soul of amateur astronomy. It is often presented as a stark dichotomy: ought the amateur to be a producer of science, an active researcher contributing meaningfully to astronomy through data collection, reduction, and analysis (often in cooperation with professionals), or is it sufficient to be a consumer of science, experiencing the phenomena accessible through amateur means, or enjoying the results of professional research through popular idioms, without striving to cultivate a deeper understanding. How has this issue played out in the RASC over the years? What can be read from the documentary traces? What is the current state of things, and is there a balance to be restored? Mapping the Heavens. Assigning coordinates to stuff in the sky has been a lasting concern of astronomy for millennia. The ends served are numerous, including mythography, commerce, and astrophysics. 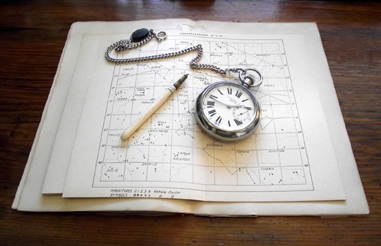 We explore the inherited and RASC-created artifacts of such activity to sketch the range and style of uranography (celestial cartography) in the Society. Making Stuff to Do Stuff. 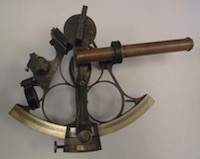 Over most of the time-span of the RASC, procuring the tools to do astronomy was radically different from what it is now. Telescopes were proportionally much more expensive, and wages lower than at present. Faced with those circumstances, many amateurs had little choice but to build their own equipment. And many did. Guides were published, Centre workshops were established, and craft knowledge was passed from one amateur to another. Now, the overwhelming majority of amateurs can afford commercial equipment, and gone for most is the experience of crafting a portal to the universe. We look at the stories the artifacts can tell about this very different landscape of amateur astronomy, where the practice survives, and how the changes mirror trends in society at large. The Republic of Letters, and the Invisible College. Communities and the contacts which form and sustain them play a large role in astronomy. Of course, technologies and styles of communication change over time. The paper artifacts of the collaborative and social life of astronomy from the earlier periods of the RASC have a beguiling aura not of the present. Among the most interesting in the Archives are letters dating to the 1890s, many from the international leaders of astronomy. Whatever their fame, they were willing to take the considerable effort to correspond with totally unknown foreign amateurs, and a good number were happy to accept membership in the Society, and to make contributions. There are certainly parallels with today's social media, as well as contrasts. We have gained in speed and spread of communication, but has it been at the expense of poise and durability? Gender, 'Race', and Astronomy. When the official history of the RASC appeared in 1994, it was noted that the high point of female membership in the Society occurred in the period before the Great War (1914 and earlier): "...women have always been active in the Society...however...women presently make up only about 8 percent of the total membership...The trend seems disappointingly clear...What features of the Society did women find more attractive in years gone by, and what has happened in more recent times to deter them?" We look at some of the artifacts created by the agency of female members, and their involvement in the Society. Is the gender history of the RASC a warning that "progress" in the social life of science is not always in the same direction, or at the same rate? And where are the invisible astronomers—LGBTQIA members, non-white members—in the RASC's past? Can they be identified, and their stories recovered? Buried Treasure, Lost Treasure. The Society was founded in the tradition of learned societies which were repositories of material objects, from contemporary apparatus for loan in current experimental programs, to historic apparatus hallowed as relics of science past. We are heirs to Tycho Brahe acquiring Copernicus' instruments for his Kunstkammer in the 16th century, and the Royal Society lending Christiaan Huygens' telescopes to Wm. Derham for observational work in the late 17th century. Similar modes of curation are visible in the RASC's approach to its scientific treasury. How and why artifacts were kept can tell us what and how the past thought about its past. We explore these questions through several artifacts we've carefully retained, and others we've carelessly lost. Spectacles of Nature. Many astronomers, amateur and professional alike, when asked what sparked their interest in astronomy, cite some impressive celestial event seen in their youth. Astronomy as "spectacle of nature" is an integral strand in the cultural fabric from which the RASC took shape. Rare, but striking, phenomena such as solar eclipses, grand naked eye comets, and meteor storms and fireballs had suitable grandeur to impose respect. What is the RASC's tradition of encountering the Grand Astronomical spectacles of nature? Are there constants? What use is made of them? Are there limits to what advocates of astronomy can expect in the wake of major, and rare celestial events? Why? Podcast Discussion. In this special bonus episode, Heather and Randall talk about things that have been discussed in the podcast so far. Cultural Astronomy. Human cultural interactions with the celestial sphere on Turtle Island long-antedate the RASC, and, indeed, the advent of white-settler culture. Some members early on developed an interest in the prehistoric astronomy of the cultures which lead to the modern science of astronomy ("archaeoastronomy" of their own past), and in the astronomy of other cultures and their pasts ("ethnoastronomy"—now being increasingly replaced by "cultural astronomy", for the astronomy of other cultures' pasts; none of these terms are entirely adequate). The surviving artifacts of these interests are principally found in our Journal, some special publications, and in the minutes of meetings. From our perspective they can be read as a mirror of their times, revealing the good, the bad, and the ugly of astronomical colonialism. Such a retrospective reading, while always necessary, may not always be entirely just to the writings of times past which are more nuanced, and to the times themselves. What is the state of things now? Are we really better at making space for other traditions to express themselves? What ought we to do about representing and promoting astronomy and astronomies in a multi-cultural society heading towards our second centenary? The health warning: in some important respects, doing the history & heritage of astronomy is similar to doing any other history. Interpretation is a key part of the serious art & science of the craft. It happens at many stages: judging which facts are relevant, assessing and ranking their relative reliability, evaluating sources, qualifying results, estimating what is only partially present in the historical record, and so on. Without interpretation, there would be no history, or at least no history worth reading. This is not something particular to the history of astronomy. 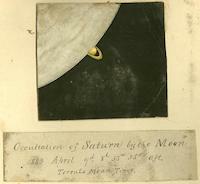 Interpretation plays an important role in how astronomical images may be acquired, selected, and processed. So, while this series of podcasts on the history of the RASC is produced on behalf of the Society, the views expressed are those of the project leads, and do not necessarily reflect the views of the RASC.